February 2015 trip to visit Mike Dorey in Ajijic, Jalisco Mexico. We also went to the Monarch Butterfly reserve outside Zitácuaro, Michoacan - Reserva Maraposa Monarca, Cerro Pélon, and down to the beach at Barra de Potosí, Guerrero. 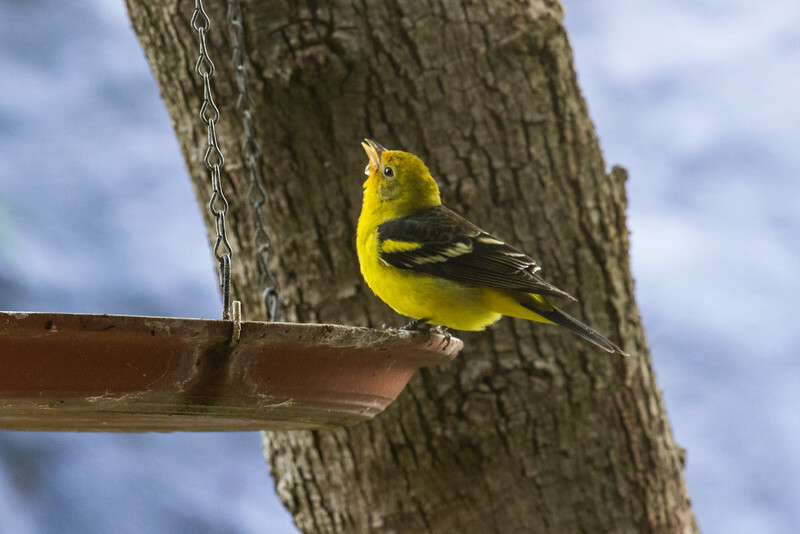 Winter colors on a male western tanager at the birdbath in Ajijic. They lose most of their red over the winter.